In a Nutshell: For the fourth time in five seasons, NBC is unveiling a new drama whose name starts with Chicago. After Fire, PD and Med comes Justice, with a Law & Order mothership-esque setup that involves investigators handing a case over to a team of prosecutors. Chicago Justice will have two early opportunities to establish the audience it will need on Sunday. Tonight, it airs as the tail end of a three-way crossover with Chicago Fire and Chicago PD. And next week, it gets the This Is Us lead-in for a Tuesday 10/9c airing. Best Case: The first three installments in the Chicago world have all done well, and there's no reason to believe that streak would end with Justice, which will have a good lead-in from Little Big Shots. 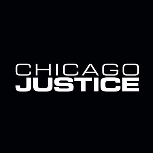 Bringing over PD regular Jon Seda is a smart way to ensure that the Chicago ties will stay tight even as this show tries to conquer a new night. It gets high-1's in its previews and manages to hang pretty close to Chicago Fire numbers on Sunday. 1.58. Worst Case: Often the fourth prong in a franchise proves to be one step too far... just ask the short-lived Law & Order: Trial By Jury and CSI: Cyber. Sunday is really tough sledding for everything on broadcast, and its lead-in Little Big Shots seems prone to a sophomore slump. It does worse than the other Chicago series in its big exposure opportunities, and only is able to muster up about the same raw numbers as last year's Sunday 9/8c comedy hour. NBC decides three Chicagos are enough for now. 0.88. Likeliest: The original Law & Order was always my favorite so I have a bit of a soft spot for this concept, but I am somewhat concerned it could make it skew older than the rest of the Chicago empire. But even if Little Big Shots takes a big plunge in year two, it should still be a much better lead-in than Powerless has been for Chicago Med. So I think Justice will stay pretty close to Med's usual numbers on Sunday, and looks solid against light competition in the Wednesday/Tuesday previews. 1.26. It may drift down to 1.0ish late in the season, but much like Med last year, it will be a huge improvement on a year-ago comedy hour. That makes it a renew.